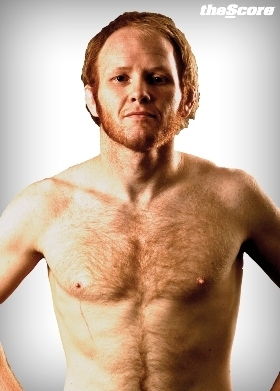 Following his first loss since 2006 this past August, Canadian veteran John “Haggis Basher” Fraser wanted a challenge to get himself back on track, and that’s exactly what he got recently at Score Fighting Series 6 against former UFC featherweight Tyler “Thunder” Toner. “It was exactly what I wanted after my loss to Josh Hill,” said Fraser. “I just wanted a war and I knew Toner would bring a war. It was a tough three-round decision and I was very happy. “The game plan going in was for me to go for the takedown and stay tight to my stand-up,” he said. “I actually felt really good. He was tough to take down, but once I got him down I felt like I controlled him really well and almost got a few submissions. Fraser told MMAWeekly.com that he feels the win over Toner puts him back in the position to be considered for a fight on the international stage. “I definitely needed to beat a tough guy who had been in the big show,” he said. “They called it the Fight of the Night. I wanted to show that I can go out there and make up for my last fight, which a lot of people called a boring fight, and I think I did that. Fraser knows at this stage of the game, if he’s going to get his big league opportunity, it’s going to have to come sooner rather than later. “I do have the urgency,” he said. “I just turned 35. This is the year. I’ve got to get it done this year, I believe. Stay tuned to MMAWeekly.com for all of your MMA news and updates.